Pre/Probiotic skin care: What are they and do they work? You’ve probably heard the words “prebiotic” and “probiotic” before. These buzzwords sound fancy and are touted as great aids for your digestive health, but what do they actually mean? And what do they have to do with skin care? With prebiotic and probiotic skin care emerging as a hot new trend, we enlisted top dermatologists and skin care experts to learn more. How are gut and skin health related? Want to understand what prebiotics and probiotics are and how they can potentially help your skin? It helps to start with a basic science lesson on gut health. “Gut bacteria can influence a number of chemicals that send messages to your brain," said Keri Glassman, celebrity nutritionist and registered dietitian. "Chemicals like dopamine, norepinephrine and serotonin are produced in the gut and delivered to the brain. They help us regulate mood, relieve stress and raise alertness. Gut bacteria also plays a major role in immunity." Gut bacteria appears naturally, but you can also promote a healthy gut microbiome by eating certain foods. And that’s where prebiotic/probiotic foods (like yogurt) and supplements come into play. Much like the gut, your skin has its own microbiome that helps shield you from harm, and there are a lot of similar microorganisms that can be found in the gut and on the skin's surface. What do the terms prebiotic and probiotic actually mean? In essence, prebiotics and probiotics work together to help keep you healthy — whether they’re in your gut or on your skin. “Probiotics are live microorganisms that are beneficial to your health, topically or internally. Prebiotics are the food source that help to keep your probiotics alive and active,” said Elina Fedotova, cosmetic chemist and founder of Elina Organics Spa Chicago & Kalamazoo. In other words, a prebiotic is a sort of fertilizer or food for probiotics and promotes the growth of microorganisms in the gut or intestines. Probiotics are the actual living microorganisms that can provide helpful and beneficial qualities when taken orally or used topically. So the fact that your skin has microorganisms — bacteria, yeast, fungi and viruses — is actually a good thing. Of course, some of these microorganisms are better than others. “Our skin flora, just like our gut, is in a constant balancing act between harmful and helpful microorganisms," said Dr. Noelani González, director of cosmetic dermatology at New York's Mount Sinai West. "The concentration and type of organisms vary by individual, and even by body location. 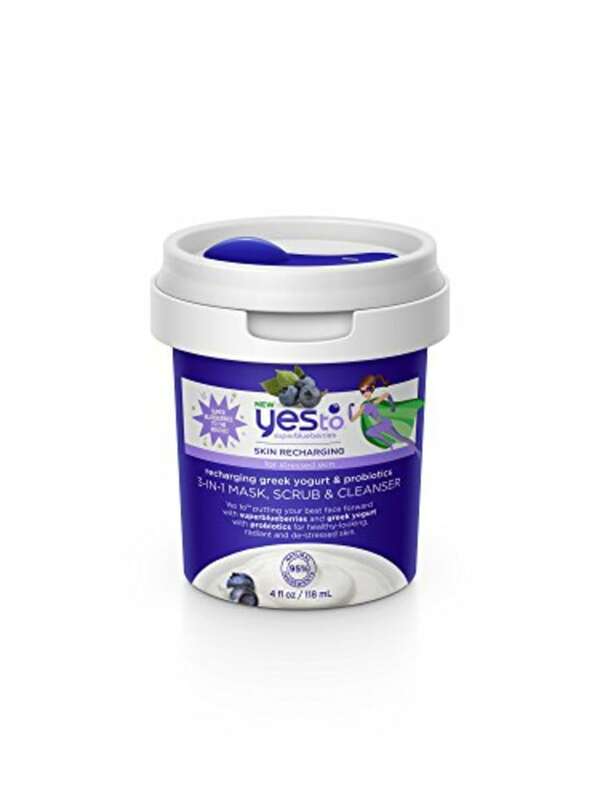 The skin works to prevent the growth of harmful organisms and helps maintain the skin’s immunity to certain organisms." Prebiotics and probiotics go hand in hand, too, and work best when used together. “If you take the probiotic (the bacteria), but do not take the prebiotic (the food source), chances are that you will have a difficult time keeping beneficial microorganisms around and may think that your probiotics don’t work. This is because you need a diet high in indigestible fiber (prebiotics) to feed the good bacteria in your gut, and without a food source, probiotics can't thrive," said Jame Heskett, a holistic doctor and author of "The Well Path." What does prebiotic/probiotic skin care do? They help protect skin. “A combination of prebiotics and probiotics in skin care can be outstanding for improving skin’s surface protection, ensuring skin has what it needs to keep its barrier intact, smooth and healthy,” Saffie-Siebert said. They can help improve certain skin conditions. "Microbes are known to be involved in various skin conditions like acne and psoriasis, so we have new opportunities for treating these skin conditions with prebiotic and probiotic skin care,” said cosmetic chemist Kelly Dobos. They can help balance the skin’s microbiome. “When your skin’s microbiome is in balance, it helps offset factors that can negatively impact skin, such as factors that lead to redness, dryness and a weakened surface that more quickly shows signs of aging from environmental attack,” Saffie-Siebert said. Due to the natural shelf life of beauty products, prebiotic/probiotic skin care products are formulated a bit differently than fresh foods that aid in digestive health. “It’s really problematic for a cosmetic to contain actual live bacteria, so most actually contain fragments of bacterial cell walls that can elicit immune response,” Dobos said. And naturally, there's no one-size-fits-all prebiotic/probiotic product. "One challenge in the development of these skin care products is that each person may have a different need in terms of their skin microflora, and that microflora is inherently different in different body parts," Saffie-Siebert said. Should anyone avoid prebiotic/probiotic skin care? Prebiotic and probiotic skin care can potentially help reduce inflammation, but as with any other skin care trend, always proceed with caution before trying a new trend. “It is always prudent to change one product at a time and monitor for any negative side effects,” Heskett said. In general, prebiotic and probiotic skin care products should be safe for most skin types, but there are a few groups of people who should avoid them. “Based on a series of ongoing research it has been shown these products are not intended for use in anyone who is immunosuppressed or neutropenic (those with a low level of white blood cells),” said Saffie-Siebert. And keep in mind that certain strains of bacteria work better for different complexions. “Streptococcus thermophilus is better for someone with a dry complexion while Nitrosomonas eutropha will benefit more oily and congested complexions," González said. "However, both can still be used very successfully for any type of complexion." What about postbiotic skin care? Aside from prebiotic and probiotic skin care, there’s also something called postbiotic skin care. "Postbiotics are waste (such as dead bacterial skin cells) from certain microorganisms, which by itself helps to improve the ecosystem of the gut or skin. Like actual live probiotics, postbiotics also help your digestion and nourish your skin," Fedotova said. Your microbiome naturally releases these postbiotics, which in turn help regulate your skin flora and reinforces the skin's healthy barrier. Think of it as checks and balances. They are beneficial in that they help support the growth of "good bateria" and can even be anti-inflammatory, so they could potentially be of help with skin conditions such as acne and rosacea. Postbiotics can be applied topically and potentially be incorporated into probiotic products, or be consumed orally. Does prebiotic/probiotic skin care work? While prebiotic/probiotic skin care sounds promising, it's still too early to definitively recommend it for certain skin issues, according to González. "We are just at the beginning of getting to understand their true impact," she said. At the same time, there have been encouraging signs that pre/probiotics could be helpful for certain skin issues. "Some studies have shown that Nitrobacter has anti-fungal activity, and also combats bacteria known as Staphylococcus," González continued. "Lactobacillus was shown to improve adult acne in a small study. Bifidobacterium in combination with Lactobacillus was shown to lower the incidence of eczema in early childhood. Streptococcus thermophilus has been shown to increase the production of ceramides in the skin, which could help in eczema." The bottom line? Prebiotic/probiotic skin care has the potential to be great for skin, but as with any other new trend, make sure you proceed with caution before diving right in. 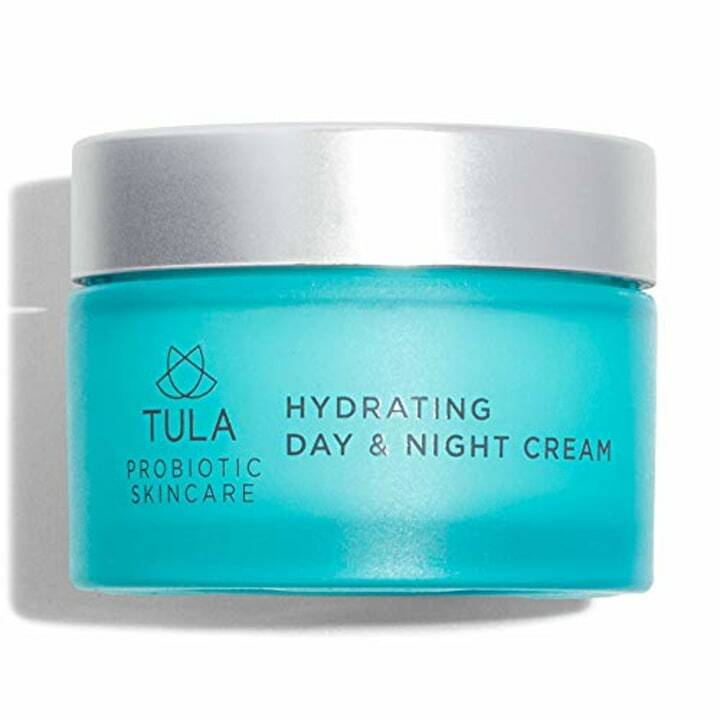 Probiotic technology in this nightly cream helps reduce the appearance of fine lines and wrinkles and increase skin's ability to retain moisture. Win, win! Got stressed out skin? Treat it to a bit of TLC with this rich, creamy 3-in-1 multitasker that helps recharge and rebalance skin. Tackle dull, tired skin and reveal a luminous, youthful complexion with this nourishing whipped moisturizer formulated with naturally derived probiotics and superfoods. Fight back against present and future acne breakouts with the help of salicylic acid, active charcoal and yogurt extract with probiotics. 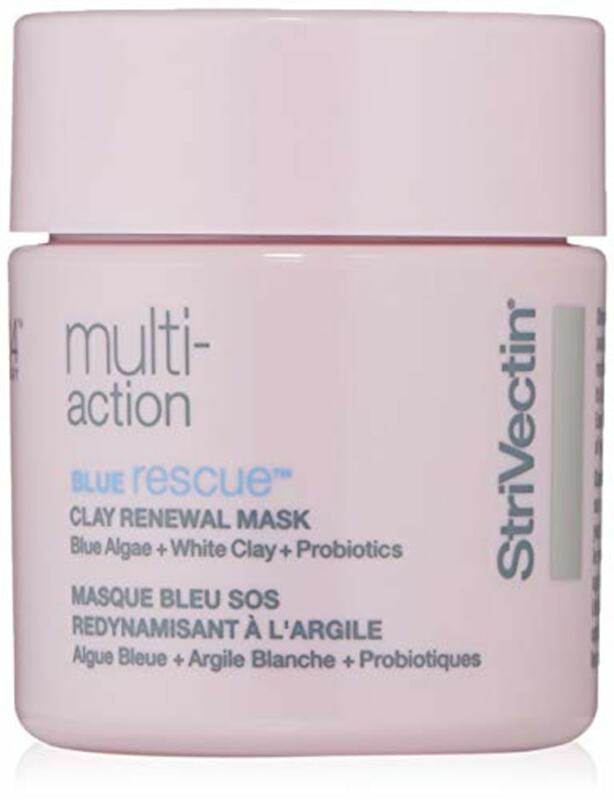 Probiotic ferment comes in handy in this smooth clay mask, working to revitalize and balance dull, fatigued skin. As an added bonus, white clay and shea butter work to remove impurities and refine pores.